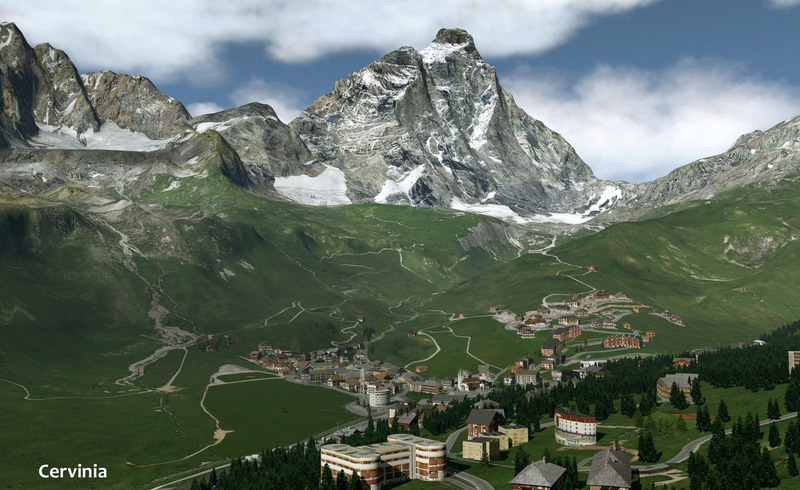 This scenery pack includes a territory of about 500 square kilometers on the border between Italy and Switzerland in the Western Alps (Pennine). 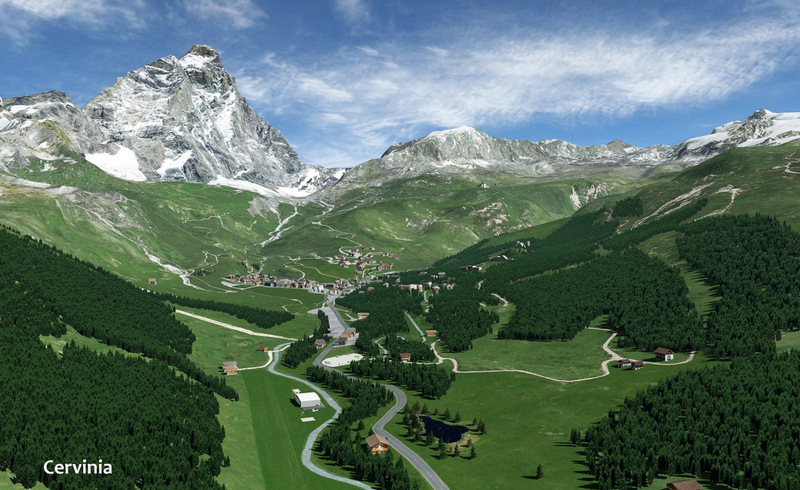 It features the two famous tourist and ski resorts Breuil-Cervinia (Italy) and Zermatt-Tasch (Switzerland), starting point for the ascension to the Matterhorn. 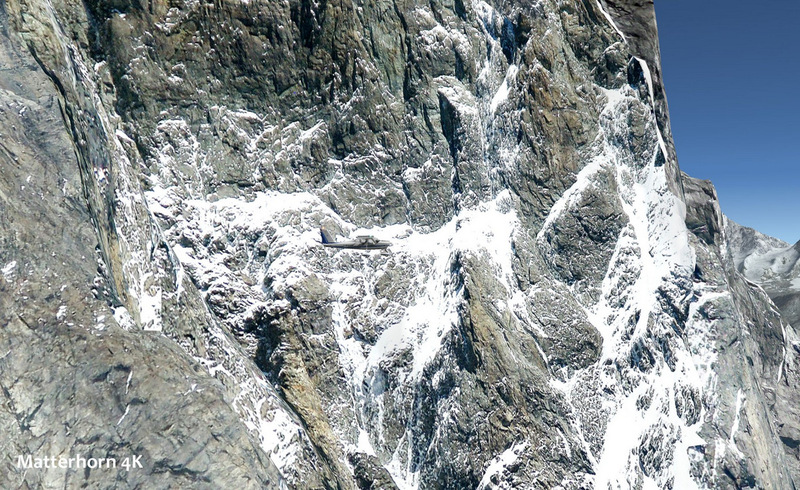 From a mountaineering point of view, the Matterhorn is a must-see for every mountaineer. 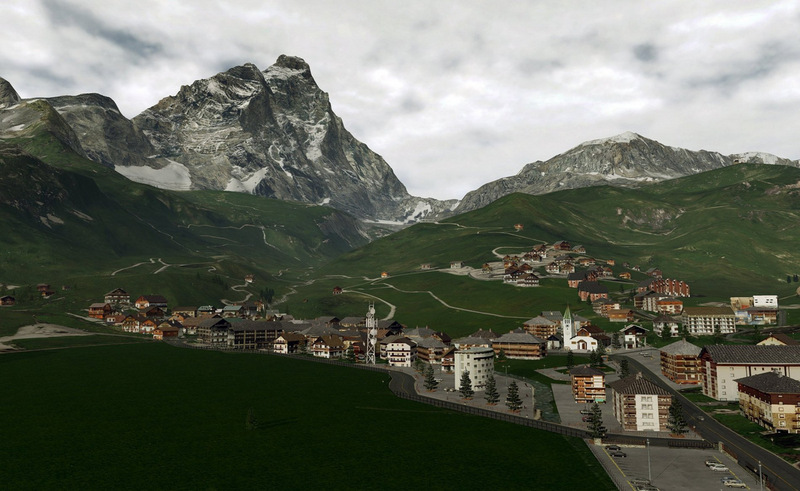 Zermatt and Cervinia regions completely rebuilt using a method of positioning polygons-textures, appropriately designed for the characteristics of the territory. (Without the use of orthophotos). 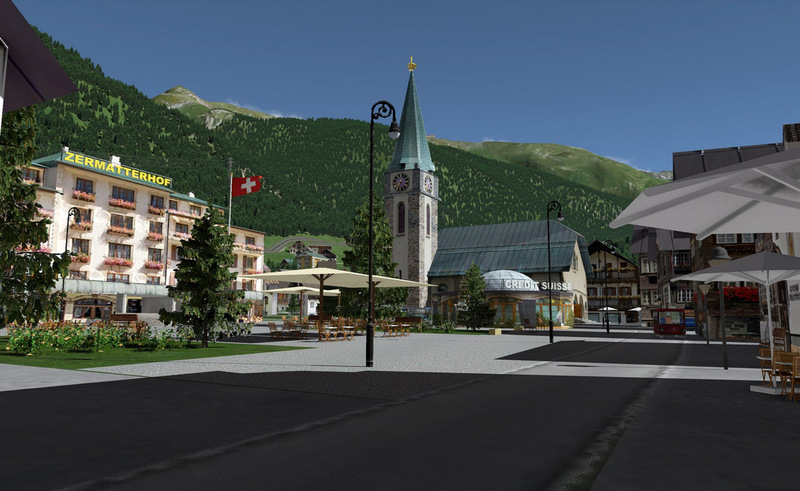 The 2 cities (Cervinia and Zermatt) built using more than one hundred types of 3D buildings typical of mountain areas. 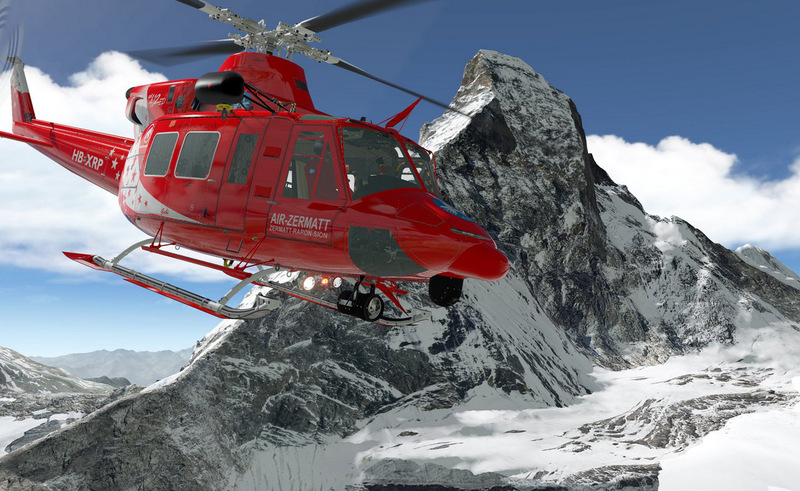 Includes tqo small aifields (Cervinia and Tasch-Zermatt) for short flights with small aircraft. Added 10 more Helipad for take-off / landing helicopters see ICAO codes. 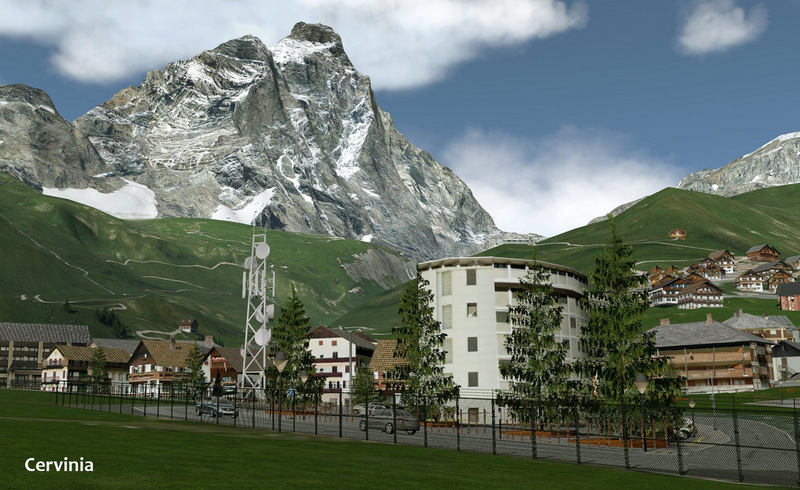 IL Matterhorn was reconstructed on a DEM (digital elevation model) at 5m. and subsequently processed. Textures based on 4k (4096x4096) for greater realism.